Upscale women’s golf clothing should be timeless, flattering to its wearer and, of course, comfortable. You want your golf wear to make you look good and feel good at the same time. Once you’ve donned your outfit, you don’t want it to give you any trouble when you’re already playing – you certainly don’t want your skirt kicking up when you’re bending down or your sleeves interfering with the fluidity of your swing. This is one of the main frustrations that older women golfers have with upscale women’s golf clothing. While many of the creations of today’s women’s golf clothing designers look good on women in their 20s, they don’t always work well for older women who not only have different body shapes, but also a more refined eye when it comes to fashion. Options in upscale women’s golf clothing for lady golfers in their 40s, 50s, 60s, and older are limited. This is absurd, especially when you consider the fact that the majority of today’s women golfers belong to the 40s and above set, who have had to put up with this lack in ladies’ golf fashion choices for far too long. This is why the GoldenWear line of upscale women’s golf clothing for the older golfer came into being. Realizing that something had to be done to address the needs of more mature lady golfers, designer Darlene Harwick envisioned and created a collection of upscale women’s golf clothing that flatters the mature form and provides the ultimate in comfort and elegance. 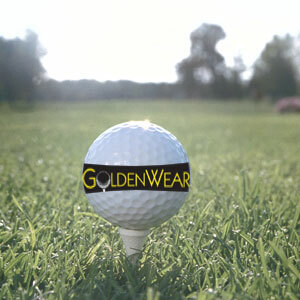 In GoldenWear’s full range of golf apparel for the older golfer, you can tee off and swing with confidence.